Age 86, February 6, 2019. A native Nashvillian, Emily was predeceased by her husband of 64 years, Jack Deaver Norton, her parents, C. Vance and Ruby Hickerson and siblings James E. Hickerson and June Hickerson Brindley. She was nicknamed “Bobbie” by her brother, and the name stuck. She graduated from Peabody Demonstration School (USN), and was enrolled at Vanderbilt University in 1950 when the Korean War started and the love of her life was drafted. Sure that the world was going to end, the two eloped before Jack was deployed to Germany. Bobbie dropped out of Vanderbilt and worked her way up to Credit Manager at a local chemical company at the young age of 18. She saved every penny she made to fly to Germany and join her Air Force husband. While in Landsberg, Germany, Bobbie conceived her first child and returned to Nashville to have the baby. A devoted wife and mother, Bobbie was also a talented pianist. 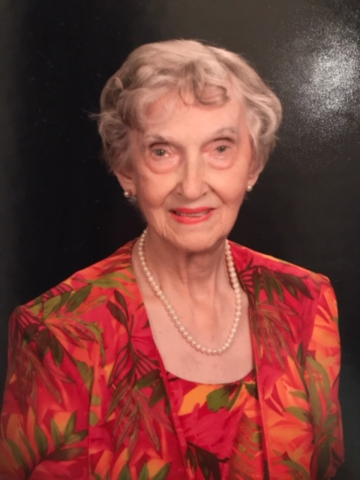 She attended Belmont University, was a member of Richland and Hillwood Country Clubs, and longtime member of Belle Meade United Methodist Church. Survived by children James C. (Linda) Norton, David H. (MaryJane) Norton, and Melissa Norton (Gabe) Carro, grandchildren Jenny Norton (Eric) Winfree, Christopher (Emily) Norton, Benjamin (Amanda) Norton, Bradford (Katie) Norton, Anna (Lawrence) Abernathy, Elena Carro and Emily Carro, as well as six great grandchildren. Service at Belle Meade United Methodist at 11:00am on Saturday, February 9th. Visitation 5-7 pm on Friday, February 8th at church and also one hour prior to funeral. Donations to Belle Meade United Methodist Church. Bob & I are holding you & your family in prayer, David & MaryJane. May your celebration & memories of love and life shared give you peace & joy for a beautiful life that you have shared. So sorry for your loss. It is such a large loss to lose your mother. Our prayers are with you and your family. Melissa, so sorry to hear this. Prayers for comfort from the Glover family.